About the significant RAF Rehabilitation Ceremony which was held in Prague on 13 September 1991. 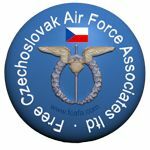 Wherein the Czechoslovak men and women, who had served in RAF during WW2, were morally and politically rehabilitated by Czechoslovakia after 43 years of Communist rule. An insight as to how they were persecuted by that regime is here. Many of these men and women having flown in from numerous countries around the world to participate in this memorable ceremony. This entry was posted in 310 Sqd, 311 Sqd, 312 Sqd, 313 Sqd, 68 Sqd. Bookmark the permalink. I think they were all treated despicably by their native country in the first place. 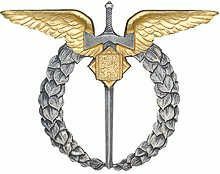 In my eyes they were all heroes from word go, since they sacrificed much to defend their country and rest of world from the Hitler regime and this ceremony should never have had to take place. Lovely trip down memory lane. Thank you for posting it.